With 2016 upon us, the LLVM Foundation would like to announce our plans for the year. If you are not familiar with the LLVM Foundation, we are a 501(c)(3) nonprofit that supports the LLVM Project and its community. We are best known for our LLVM Developers’ Meetings, but we are introducing several new programs this year. The LLVM Foundation originally grew out of the need to have a legal entity to plan and support the annual LLVM Developers’ Meeting and LLVM infrastructure. However, as the Foundation was created we saw a need for help in other areas related to the LLVM project, compilers, and tools. The LLVM Foundation has established 3 main programs: Educational Outreach, Grants & Scholarships, and Women in Compilers & Tools. 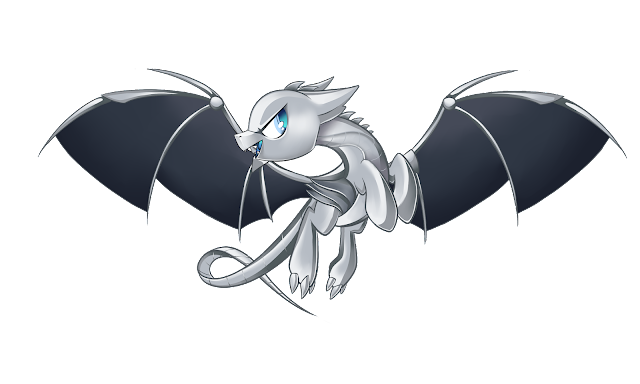 The LLVM Foundation plans to expand its educational materials and events related to the LLVM Project and compiler technology and tools. First, the LLVM Foundation is excited to announce the 2016 Bay Area LLVM Developers’ Meeting will be held November 3-4 in San Jose, CA. This year will be the 10th anniversary of the developer meeting which brings together developers of LLVM, Clang, and related projects. For this year’s meeting, we are increasing our registration cap to 400 in order to allow more community members to attend. We also are investigating how we can support or be involved in other conferences in the field of compilers and tools. This may include things such as LLVM workshops or tutorials by sponsoring presenters, or providing instructional materials. We plan to work with other conference organizers to determine how the LLVM Foundation can be helpful and develop a plan going forward. However, we want to do more for the community and have brainstormed some ideas for the coming year. We plan to create some instructional videos for those just beginning with LLVM. These will be short 5-10 minute videos that introduce developers to the project and get them started. Documentation is always important, but we find that many are turning to videos as a way to learn. We are creating a grants and scholarships program to cover student presenter travel expenses to the LLVM Developers’ Meetings. However, we also hope to expand this program to include student presenter travel to other conferences where the student is presenting their LLVM related work. Details on this program will be published once they have been finalized. Grace Hopper invented the first compiler and yet women are severely underrepresented in the field of compilers and tools. At the 2015 Bay Area LLVM Developers’ Meeting, we held a BoF on this topic and brainstormed ideas about what can be done. One idea was to increase LLVM awareness at technical conferences that have strong female participation. One such conference is the Grace Hopper Conference (GHC). The LLVM Foundation has submitted a proposal to present about LLVM and how to get involved with the LLVM open source community. We hope our submission is accepted, but if not, we are exploring other ways we can increase our visibility at GHC. Many of the other ideas from this BoF are being considered and actionable plans are in progress. In addition, to these 3 programs, we will continue to support the LLVM Project’s infrastructure. The llvm.org server will move to a new machine to increase performance and reliability. We hope that you are excited about the work the LLVM Foundation will be doing in 2016. Our 2016 Plans & Budget may be viewed here. You may also contact our COO & President, Tanya Lattner (tanyalattner@llvm.org) or the LLVM Foundation Board of Directors (board@llvm.org). Welcome to the one hundred and twenty-first issue of LLVM Weekly, a weekly newsletter (published every Monday) covering developments in LLVM, Clang, and related projects. LLVM Weekly is brought to you by Alex Bradbury. Subscribe to future issues at http://llvmweekly.org and pass it on to anyone else you think may be interested. Please send any tips or feedback to asb@asbradbury.org, or @llvmweekly or @asbradbury on Twitter. Welcome to the one hundred and nineteenth issue of LLVM Weekly, a weekly newsletter (published every Monday) covering developments in LLVM, Clang, and related projects. LLVM Weekly is brought to you by Alex Bradbury. Subscribe to future issues at http://llvmweekly.org and pass it on to anyone else you think may be interested. Please send any tips or feedback to asb@asbradbury.org, or @llvmweekly or @asbradbury on Twitter. Welcome to the one hundred and eighteenth issue of LLVM Weekly, a weekly newsletter (published every Monday) covering developments in LLVM, Clang, and related projects. LLVM Weekly is brought to you by Alex Bradbury. Subscribe to future issues at http://llvmweekly.org and pass it on to anyone else you think may be interested. Please send any tips or feedback to asb@asbradbury.org, or @llvmweekly or @asbradbury on Twitter. There’s been lots of discussion online (and then quite some more) about compilers abusing undefined behavior. As a response the LLVM compiler infrastructure is rebranding and adopting a motto to make undefined behavior friendlier and less prone to corruption. The re-branding puts to rest a long-standing issue with LLVM’s “dragon” logo actually being a wyvern with an upside-down head, a special form of undefined behavior in its own right. The logo is now clearly a pegasus pony. Another great side-effect of this rebranding is increased security by auto-magically closing all vulnerabilities used by the hacker who goes by the pseudonym “Pinkie Pie”. These new features are enabled with the -rainbow clang option, in honor of Rainbow Dash’s unary name.